This word is often referenced when we look to the future with purpose. To have vision, is different than having a vision. To see beyond the world we are in today, and see clearly the possibilities of what the future may bring, is vision. To shape that vision, is yet another story; and mankind often spends their lives trying to shape a vision that seems clear, but may never arrive at the base of the vision or the vision itself. Our family has lent our time and treasure to a charitable cause we helped found called Launching Leaders. This is a program that teaches the principles of leadership, self-reliance, financial fitness, governing values and giving back. It connects correct principles to success in life. It has proven to be a life changer for many who have taken the twelve week class from New Zealand to the USA; the teachings of which have been encapsulated in the book The Ministry of Business by Steven A. Hitz (yours truly) and James W. Ritchie (my mentor). I’m not writing this blog to sell books (though all profits go to charity), I’m simply connecting how our charitable causes have miraculously synergized with other great charities to help realize a very worthwhile vision of “connecting humanity”. We have partnered with a large humanitarian entity known as Ascend Alliance. The purpose is to prepare young adults particularly to serve humanity. They will deliver to charities such as the Red Cross, thousands of prepared students, ready to make their mark in life and be leaders in service. 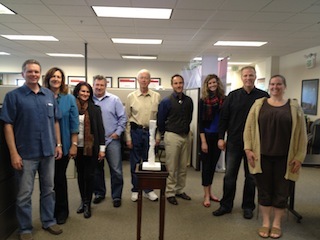 From left to right: Steven and Ginger Hitz, Janna Ames, Ken Sharrar, James Ritchie, Matthew Casto, Kimberly Fischer, Woody Woodhouse, and Kerstin Alvarez. When Ascend Alliance arrived to coordinate the curriculum with our team, they brought as a gift, a replica of the Statue of Responsibility. This is where connecting to this vision comes in. Viktor Frankl, neurologist, psychologist, and author of “Man’s Search for Meaning” suggested (some 40 years ago) that a monument to responsibility should exist. 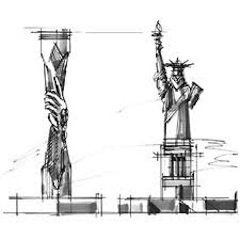 He recommended, “that the Statue of Liberty on the East Coast be supplemented by a Statue of Responsibility on the West Coast.” He wanted to bookend the concepts of liberty and freedom to visualize the understanding that with freedom comes responsibility. 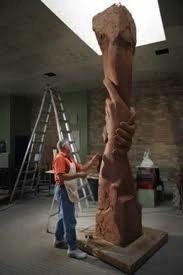 So his team commissioned Gary Lee Price, international acclaimed sculptor, to create the statue. The parties (Launching Leaders and Ascend Alliance) are creating a curriculum based on the book and delivery system (Launching Leaders), wherein the class will become accredited and taught in many universities. The plan is to have a ten foot Statue of Responsibility on many campuses which offer an accredited leadership course (Launching Leaders) that promotes the realization of this vision. 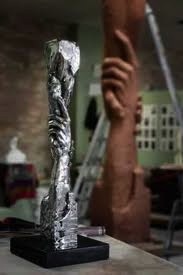 The story goes that Victor Frankel had a favorite statue of the hands that reach up….but he thought, ‘where are the hands that reach down to clasp the hands that reach up?’ This was the embryo of the statue developed. Think of the vision of this: to educate and empower generations in understanding the connection of freedom and responsibility. They call this the Freedom Equation: Liberty + Responsibility = Our Freedom. The statue was created after Victor passed away, but the artist traveled to Vienna and received the blessing of Victor’s wife—that this answered the question in Victor’s mind “where are the hands that reach down”. The land has been purchased on Fiesta Island off of the coast of San Diego, and the architectural renderings are available for all to see. 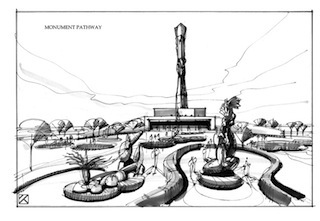 The statue will be 300 feet high with observation decks, restaurants, visitor’s centers, and eventually be offered as a national park. The thought of an image like this gives me goose pimples.